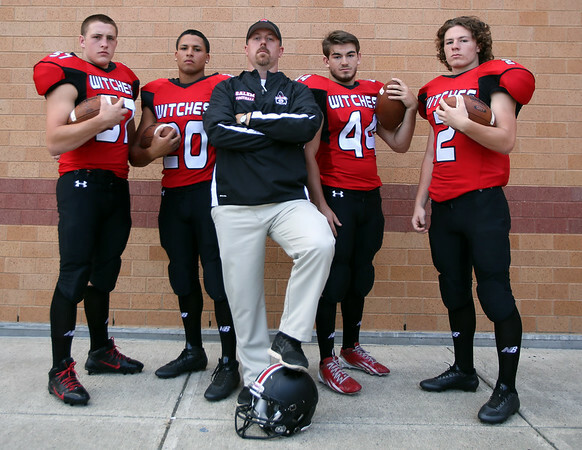 New Salem High School football Head Coach Matt Bouchard and the senior captains Joey Byors (57), Genrri Rosario (20), Glenn Gard (44), and Victor Claudio (2) will look to lead the Witches in the 2014 season. DAVID LE/Staff photo. 8/28/14.